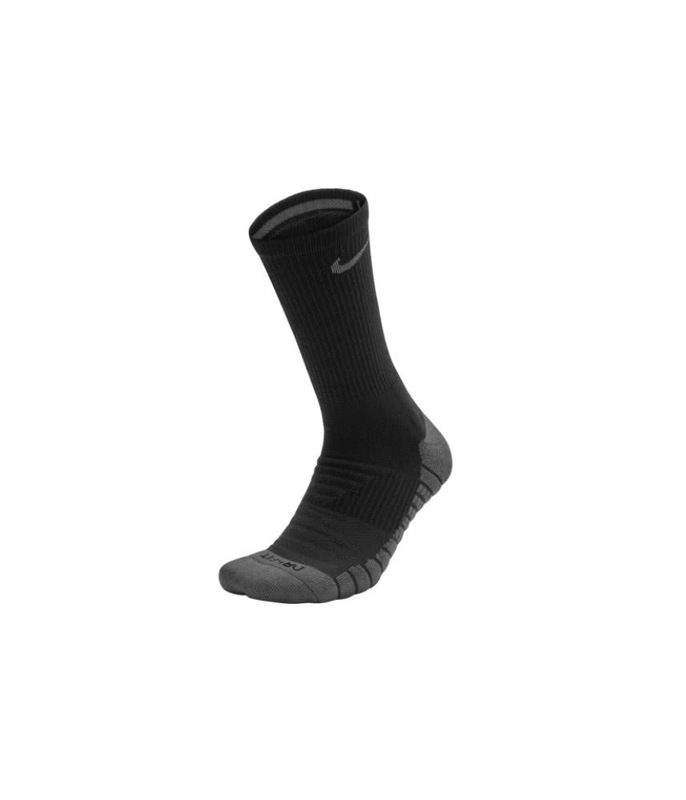 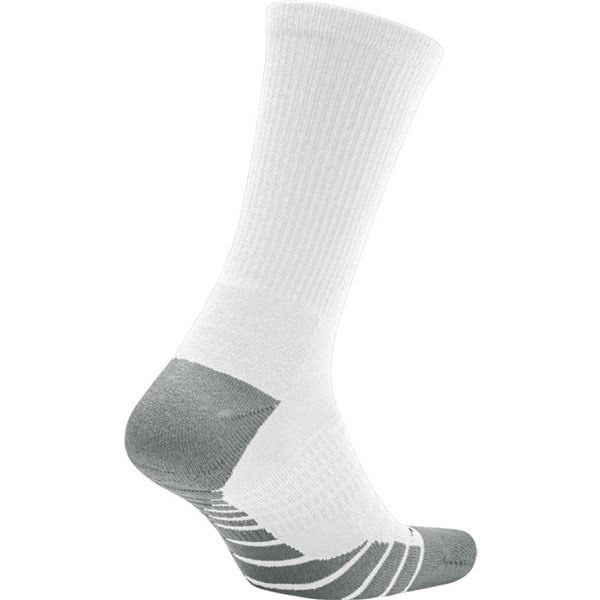 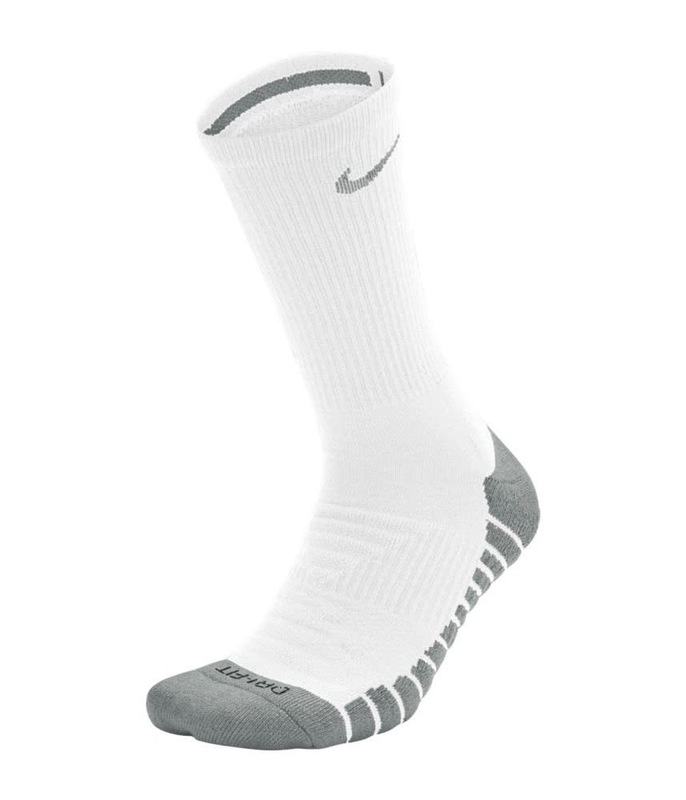 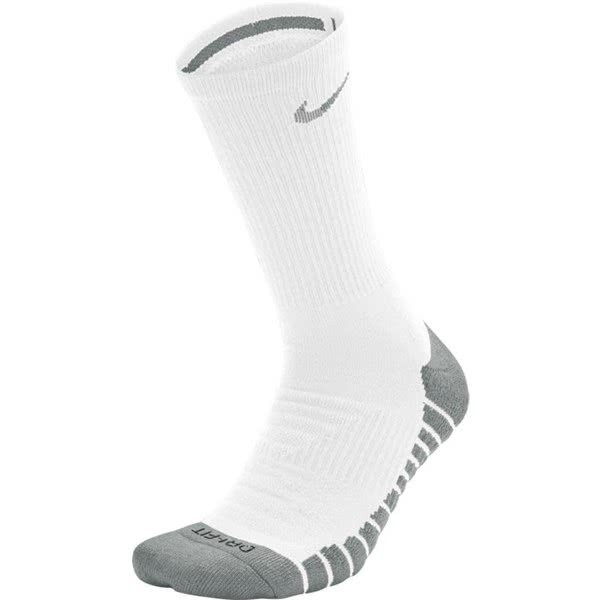 Sizing Guide The Nike Cushioned Crew Golf Socks will help provide maximum comfort with a cooling effect that will enhance your walk around the golf course. 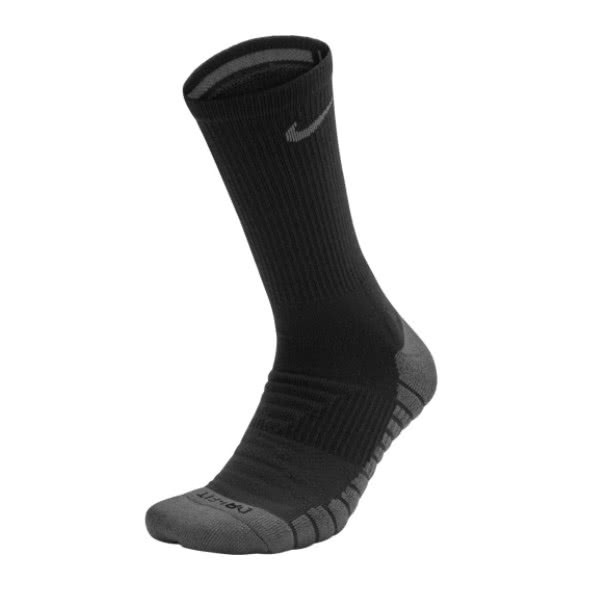 Nike have used the Dri-FIT fabric technology to keep your feet feeling cool and sweat-free. 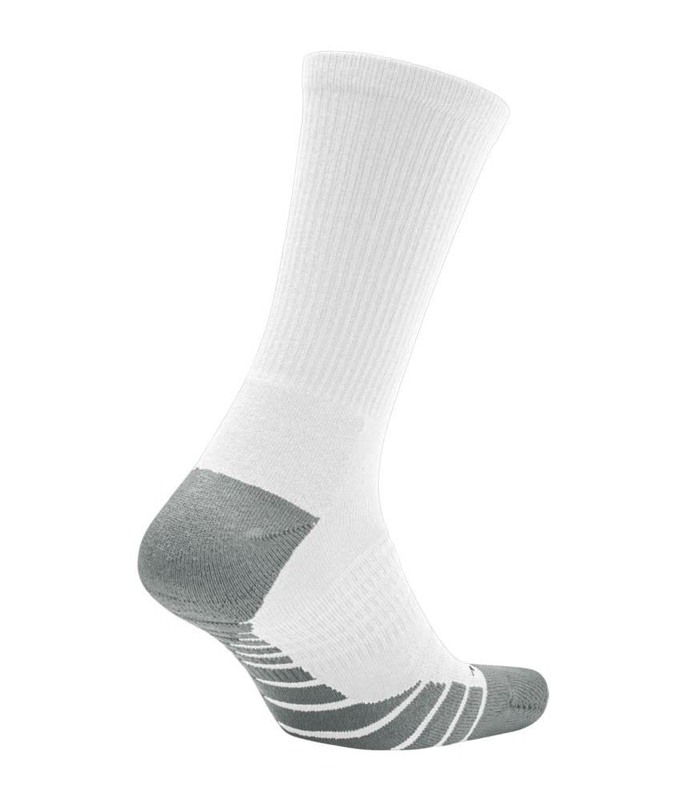 An anatomical left/right design provides a superior fit, while the combination of zonal cushioning and an arch support delivers comfort, support and energy return to the parts of the feet that need it most during 18 holes.